Congratulations to tour winners Solange T., Sonia P., and Sharon G. and to host winners Writing is my Oxygen and Straight from the Library. Goddess Fish Promotions is organizing a Virtual REVIEW ONLY Tour for Betting on Cinderella by Petie McCarty, a 359 page Contemporary Romance available October 18 from Soul Mate Publishing. The tour will run every Thursday for 4 weeks starting on March 8, and the book is available in PDF mobi and epub formats. 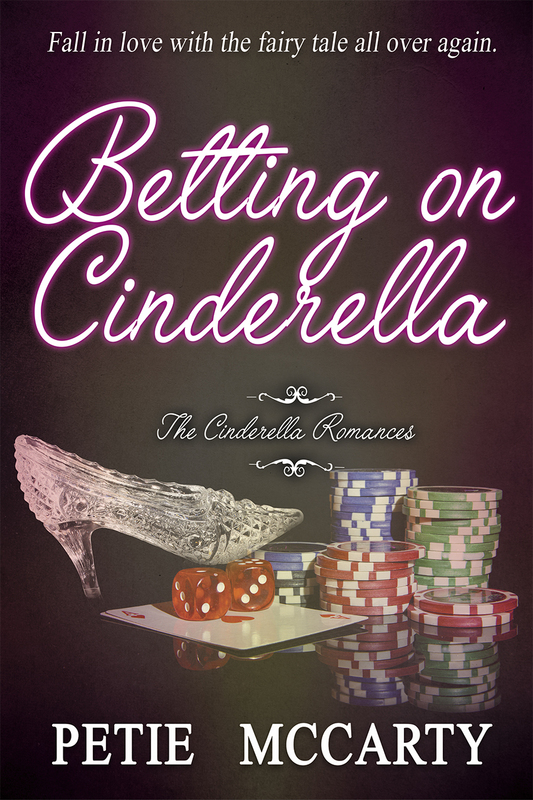 Note: Betting on Cinderella is Book 2 in the Cinderella Romances series but reads as a standalone. Has returning characters from book 1. If reviewers prefer, Book 1 is also available for review but isn't necessary to be read first. Petie McCarty will be awarding 3 eBook copies of Book 1 of the Cinderella Romances series: Cinderella Busted to 3 randomly drawn winners via rafflecopter during the tour, and a $10 Amazon or Barnes and Noble GC to a randomly drawn host. Because this is a review tour. GFP will award a randomly drawn host a $5 Amazon GC. Garrett Tucker inherits his grandfather's casino empire and steps into the reclusive billionaire's shoes as the "Prince of Vegas." His first act is to buy and renovate a bankrupt casino in Biloxi. When he discovers embezzling in his new operation, Garrett goes in undercover. His number one suspect is the new finance supervisor. Andi Ryan moves to Biloxi to care for her godmother and takes a job as finance supervisor for the renovated Bayou Princess casino. She discovers someone is skimming from the till and starts her own investigation, worried she will be blamed for the theft when the new owner discovers her godmother has a costly gambling addiction.